LA JOLLA—We’ve all heard the expression: “what doesn’t kill you makes you stronger.” Now, research led by a Salk Institute scientist suggests why, at a cellular level, this might be true. The team reports that brief exposures to stressors can be beneficial by prompting the cell to trigger sustained production of antioxidants, molecules that help get rid of toxic cellular buildup related to normal metabolism. The research, which appeared in the journal Cell Metabolism on August 16, 2018, also revealed that short-term stress to cells leads to remodeling mitochondria, the powerhouses of the cell that deteriorate with age, so they generate fewer toxic byproducts. The findings could lead to new approaches to counter the cellular effects of aging, possibly even extending lifespan. In the process of converting food into chemical energy, mitochondria produce a chemical called superoxide, which has a critical role in cells but is toxic if it builds up. For this reason, mitochondria also produce an enzyme—superoxide dismutase, or SOD—to convert superoxide to a less toxic form. Shadel wanted to know how short-term cellular stress caused by mitochondrial superoxide very early in development might affect health later in life. 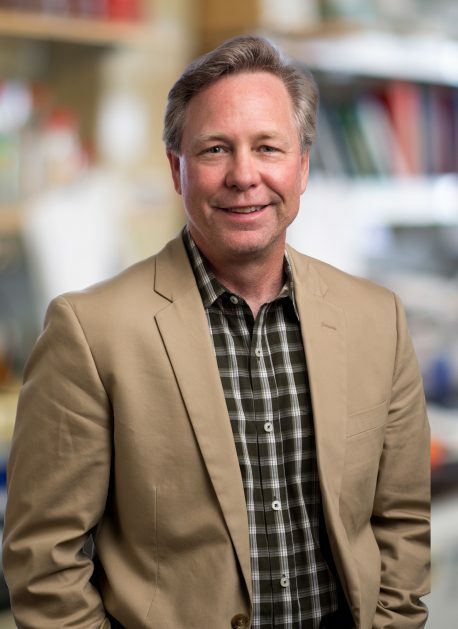 So he led a team of researchers from the Yale School of Medicine and Appalachian State University in developing an approach to turn off the SOD enzyme for short periods of time in order to study how cells and animals responded to the cellular stress of toxic buildup. In a group of genetically identical mice in utero, half with a molecular “off” switch for SOD experienced brief stress when the enzyme was deactivated. After the mice were born and continued to grow to adulthood, the two groups looked very similar. But liver samples taken when they were four weeks old told a strikingly different story: the mice whose SOD enzyme had been turned off briefly to trigger stress in mitochondria had—surprisingly—higher levels of antioxidants, more mitochondria and less superoxide buildup than the mice who had not experienced stress. Additionally, cells grown in dishes, half which contained the SOD switch, showed the same results: those that experienced brief periods of stress turned out to be stress resistant and healthier from a cellular perspective. When the team analyzed which genes were being activated in both the lab dishes and the liver samples of all the mice, they found unexpected molecular pathways at work in the SOD group that were reprogramming mitochondria to produce fewer toxic molecules while simultaneously increaseing the cells’ antioxidant capacity. The work suggests that short-term mitochondrial stress may lead to long-term adaptations (a concept called “mitohormesis”) that could keep cells healthy longer, staving off aging and disease. Shadel next plans to study whether the mechanism elucidated here can delay the effects of aging in mammals. Other authors included Carly S. Cox, Sharen E. McKay, Marissa A. Holmbeck and Annie J. Tsay of Yale University; Brooke E. Christian of Appalachian State University; and Andrew C. Scortea and Laura E. Newman of Salk. The work was funded by the National Institutes of Health, the Yale School of Medicine and the Salk Institute.